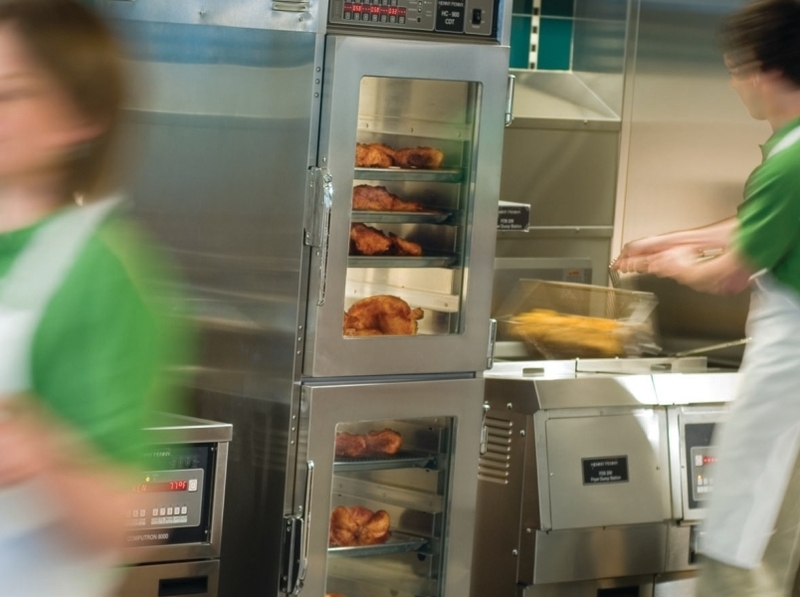 Originally developed to hold large quantities of pressure-fried chicken for long periods without sacrificing freshness or presentation, Henny Penny heated holding cabinets keep practically any menu item hot and tasty until it’s ready to serve. 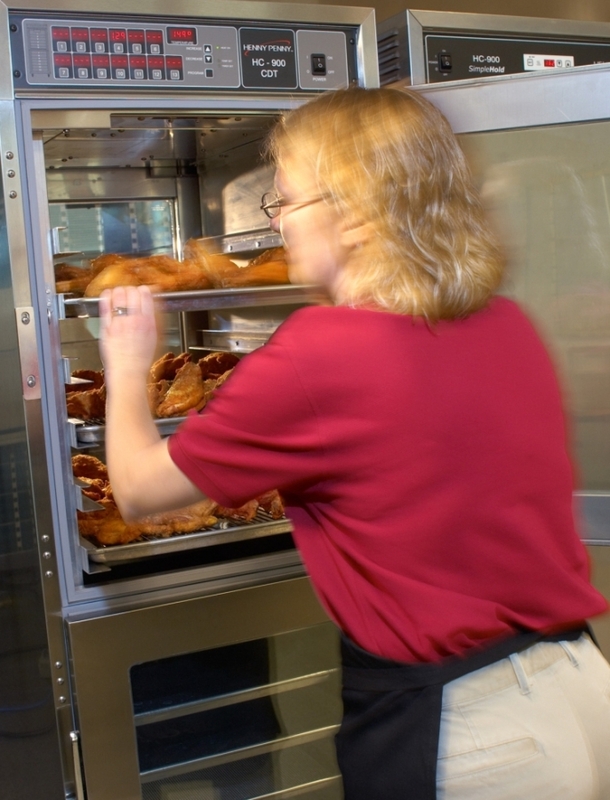 Dual-fan design with heavy-duty blower motors and ventilated side racks circulates hot moist air evenly throughout the cabinet for consistent results. 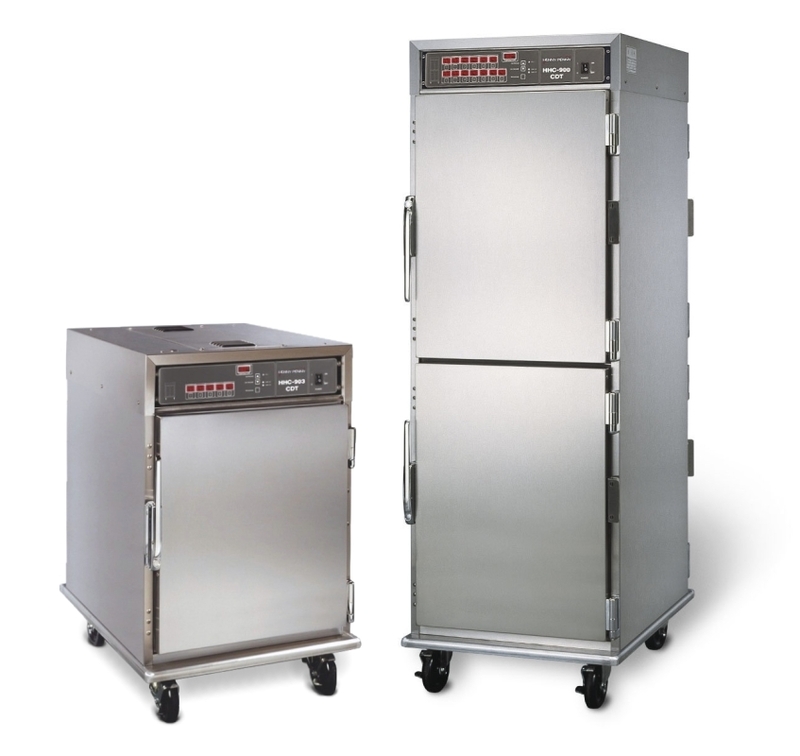 Available countdown timers help make holding more versatile and kitchens more productive. 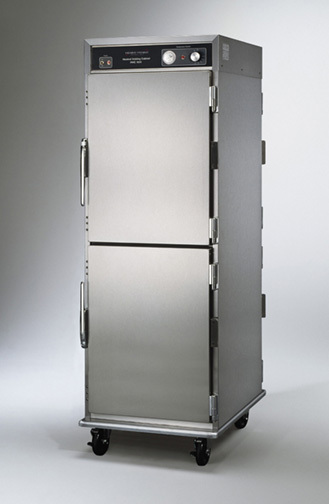 Henny Penny holding cabinets are extremely energy-efficient with fully insulated cabinets and self-closing, tight-sealing doors.